Balay Mindanaw continues to deliver relief goods to home-based IDPs whose numbers have had a steady rise 54 days have passed since the Marawi siege. This is the second time that the institution provided goods to home-based IDPs in Iligan City. Together with our local partner, Pailig Development Foundation Inc., and representatives from the BLGU and CSWD, Non-Food Items and Dignity Kits were distributed in Barangays Bonbonon, San Roque and Hinaplanon last July 16. 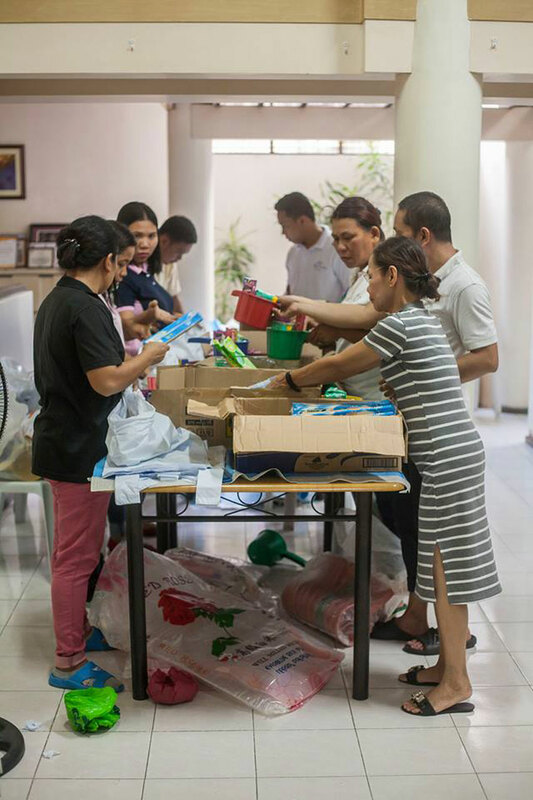 In Barangays Bonbonon and San Roque, 46 families in each community received dignity kits consisting of plastic bucket with lid, one dipper, 6 sachets toothpaste, three bath soaps, 6 sachets shampoos, one laundry soap bar, 6 sachets of laundry soap powder, two packs of sanitary napkin, a ‘malong’ or tube-skirt, and a head scarf. These hygiene and sanitary items were shared to help address requests from IDPs to replenish these items. 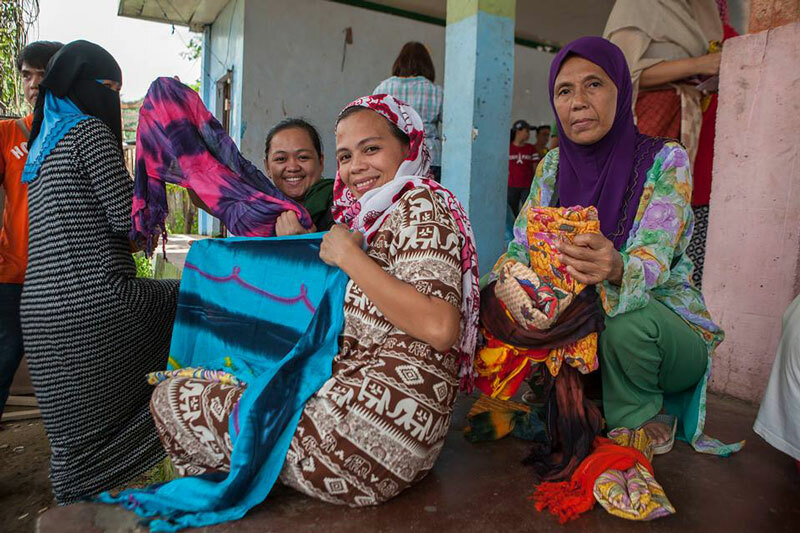 The multi-colored and multi-purpose garments – malong and scarf are common cultural clothing for the Maranaos. These can be used for sleeping, cover, décor, and many more. In Barangay Hinaplanon, 886 families received malongs and head scarves while 48 sets of dignity kit was turned over to the BLGU for distribution to home-based IDPs they have identified as the most in need. The malongs and scarves were donations from friends in Davao City while the rest of the items distributed were donations from Minergy Power Corp. The Balay Mindanaw Volunteers also repacked additional food and dignity kits for distribution to home-based IDPs in Brgy. Nazareth, Cagayan de Oro within the week. 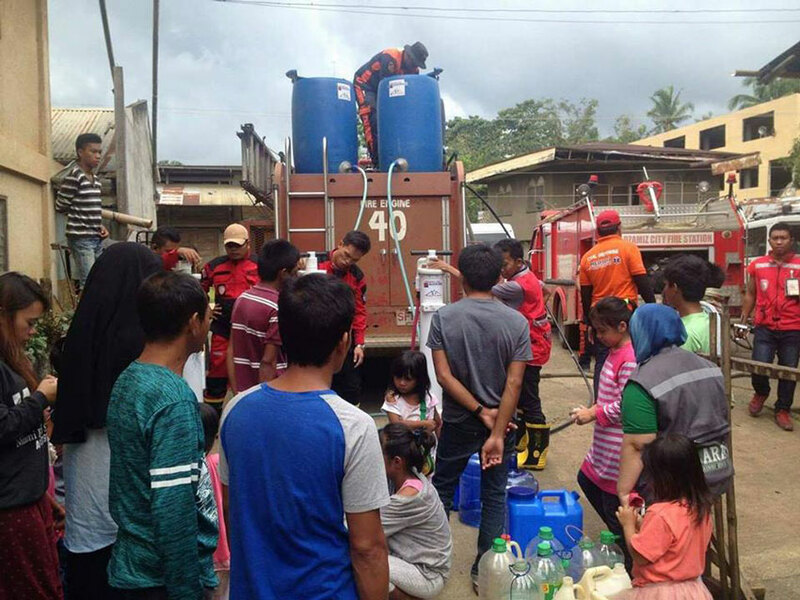 For the past week, the operations of the Skyhydrant covered 3 municipalities with 6 evacuation centers in Lanao del Norte where 24,719 liters of potable water were served to a total of 537 families in four days. The new National Incident Management Team (NIMT) from Davao region was oriented on the context of Balay Mindanaw-NIMT partnership and how the Skyhydrant was vital in the operations of the NIMT as well as contributing to the improvement of health among IDPs. Volunteers from the Bureau of Fire in Region 10 and BARET were oriented on the operation of the ultra-filtration unit and were the ones who conducted the water rationing for the week. Disbursements and payables as of July 15 is P1,894,702.67. For those who have not been acknowledged, please send us a copy of your deposit slip so that we can acknowledge you accordingly. We were able to do all these because of your donations and support…Thank you very much to all our donors and volunteers….